Calvin's Custom one sixth 1:6 scale original Rekaan JOKER. Calvin's Custom one sixth 1:6 scale original Rekaan JOKER: "Prison Break". 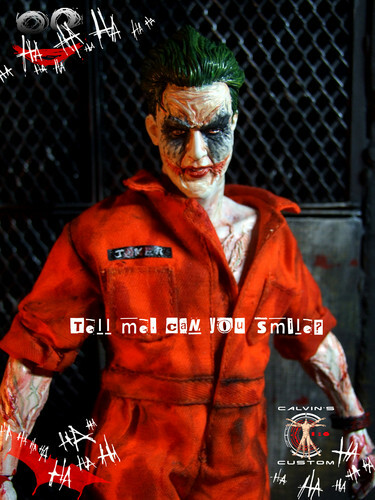 HD Wallpaper and background images in the The Joker club tagged: photo calvin's custom calvinscustom 1:6 one sixth calvin lo hong kong customizer joker batman dark knight arkham aslyum arkham knight d.c.comics dc comics bruce wayne. This The Joker photo contains pagar chainlink.